Although an emerging market, the tablet ecosystem continues to grow and to offer users more and more choices in terms of operating systems and hardware devices. The latest arrival to the tablet OS is Android 3.0. 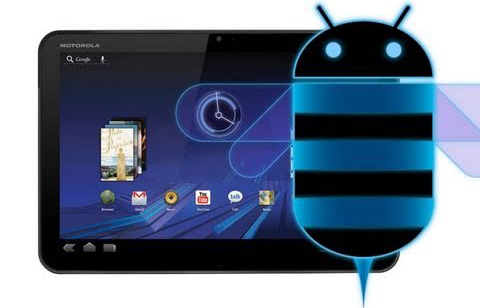 Also known as Honeycomb, Android 3.0 is a tablet oriented platform that supports devices with larger screen size. Honeycomb is the next version in line after the 2.3 version, aka Gingerbread, and the predecessor of the soon to come Android 4.0, aka Ice Cream Sandwich, which will be a dual platform compatible with both smartphones and tablets. Honeycomb comes with new user interface functionalities, content-focused design and new interactivity features. Even more, it brings a new perspective upon multitasking, adds home screen customization and plenty of widgets for a unique 3D experience. The first tablet to run Android 3.0 was Motorola Xoom which was released in February, 2011. With a smooth design and solid features, Motorola Xoom is a nice tablet to have. The original Xoom has a 3G and a Wi-Fi version, and rumor has it that a second version is in production and will be released soon. The Motorola tablet has a 10.1 inch display, 2 cameras: a 2 MP front facing camera and a rear facing 5 MP camera which can record 720p videos, a HDMI output, and an entire series of sensors: barometer, gyroscope, magnetometer, accelerometer. The tablet runs on Nvidia Tegra 2 processor and has a storage capacity of 32 GB. Definitely a big plus, Honeycomb is the most configurable operating system for tablets, offering a wide range of hardware possibilities as you can see below. Also, it has a nice notification system, it is compatible with Adobe Flash and offers users free GPS navigation system. Other Android tablets running Honeycomb are: Samsung Galaxy Tab 10.1 - the first iPad competitor, Samsung Galaxy Tab 10.1V - takes remarkable 8MP pics, LG Optimus Pad known as "LG G slate" in US - a good tablet for 3D playing etc. Although Android Honeycomb is an OS with a great potential, which is featured on some topnotch devices, in order to reach success it needs to offer customers a wider variety of apps, meaning that it needs to become appealing for developers. For sure in the near future more applications will populate the Android Market, but for the time being the users will have to get used to the embedded applications. When it comes to tablets, at the end of the day it's not the device itself that matters - it's what you can do with it.